Halve half of tomatoes. 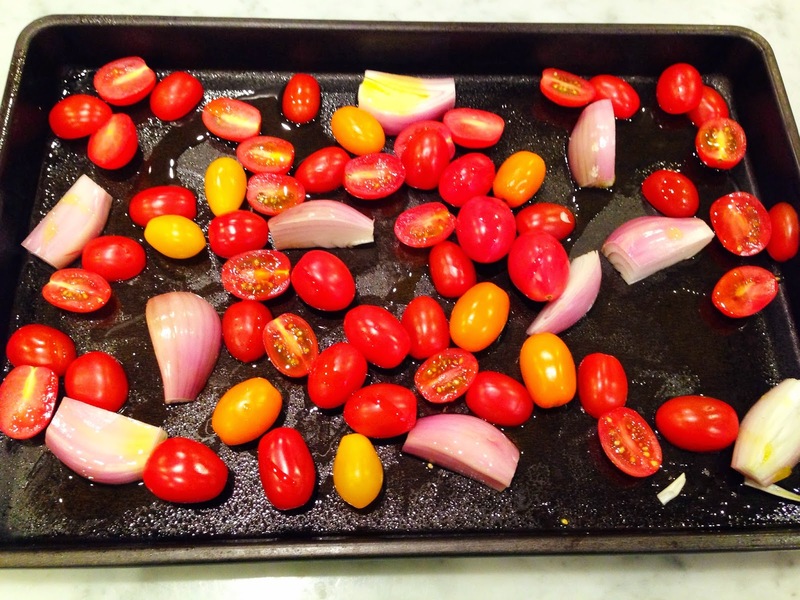 Arrange halved and whole tomatoes and shallots on a rimmed baking sheet, coated with nonstick spray. 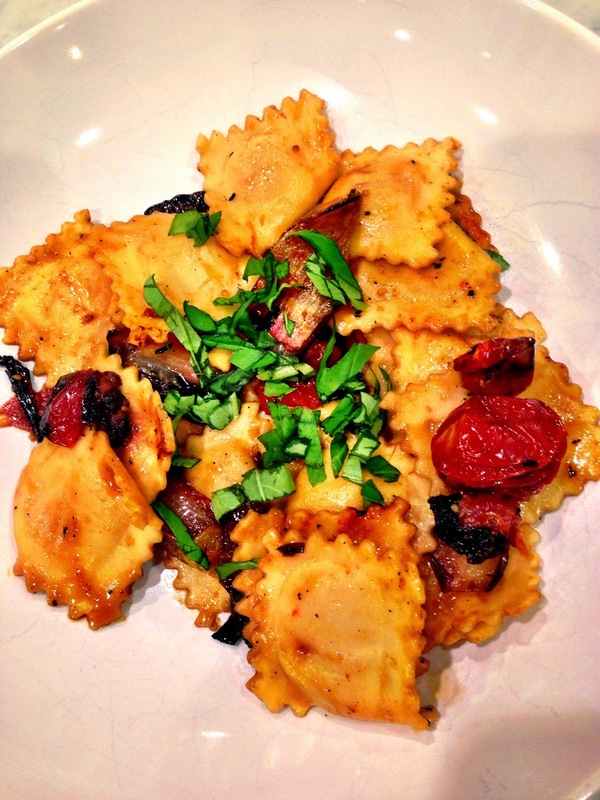 Drizzle with 1 tablespoon olive oil, toss. Bake at 425º for 35 minutes. Whisk 2 tablespoons oil, vinegar, salt and pepper, add to pan. Bake additional 10 minutes. 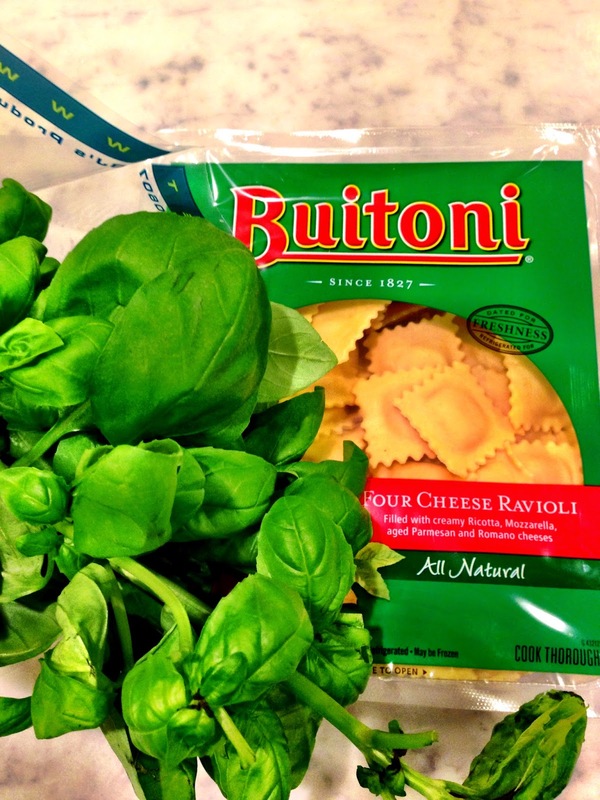 Cook ravioli according to package directions, omitting salt and fat. 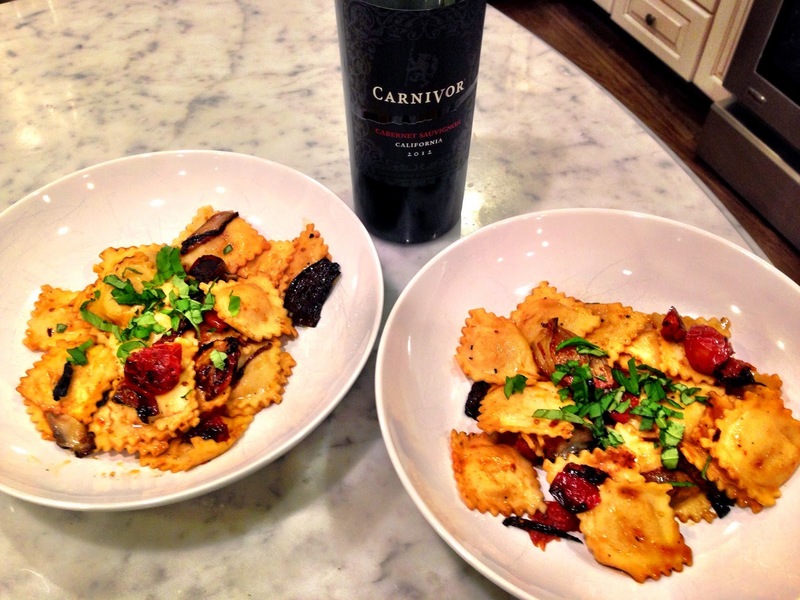 Drain ravioli, reserving 1/4-1/2 cup cooking liquid. 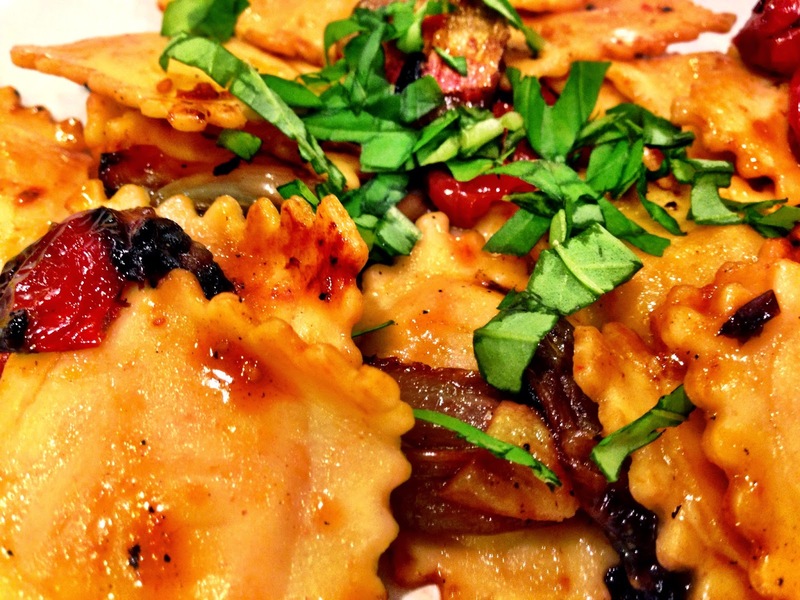 Toss ravioli with roasted tomatoes and shallots (plus any juices). Add reserved cooking liquid if needed, a little at a time. Sprinkle fresh basil to garnish. 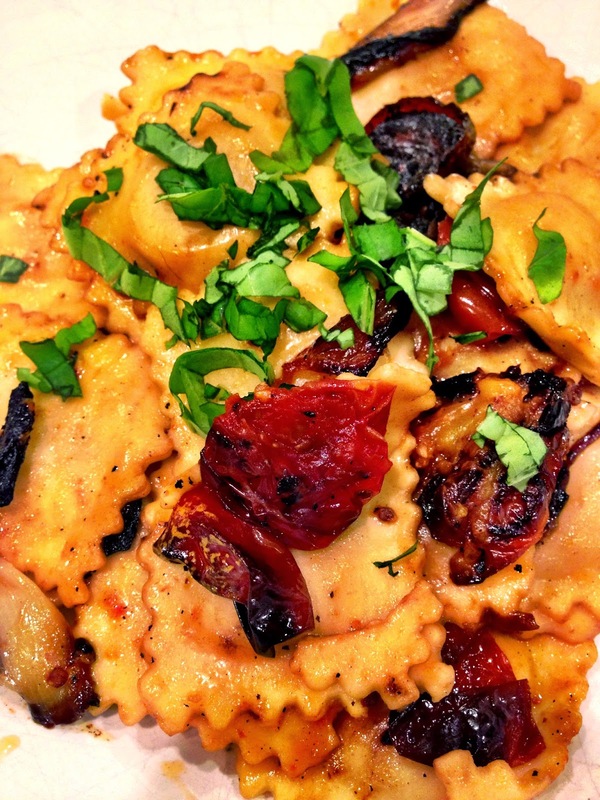 My husband and my eldest are not huge fans of pasta meals--especially heavy ones; however, this light ravioli dish really packs a punch and both became instant fans. This meal is going into the rotation. I hope you give it a try at your house soon!